NOTE: This post was one of the first posts shared on Live Simply, making this blogpost over 5 years-old. I still love and purchase Kerrygold butter for my family. That said, I still stand behind the words shared in this post. I welcome comments on this post; however, comments that are rude (a direct insult to me, name calling, or written in a nasty way) will not be approved. Differing opinions are always welcome, rude and insulting comments are not welcome. I guess I have developed a reputation. A reputation for loving good high-quality, pastured butter. Rich, yellow, creamy, delicious butter. The writer also suggests several alternatives, such Organic Valley and Natural by Nature as well as a few other brands I haven’t found to be locally available. I decided to do some investigating! I wanted to make sure I had my facts straight before calling it quits with my Kerrygold obsession. If I were to make the switch to a different butter, as the writer suggests, I would be spending double even triple per pound vs. what I am paying for Kerrygold at Costco. I wanted to make sure the higher price of these butters really meant I was getting a better, grass-fed product, free of as many GMO’s as possible. I realize buying straight from a local farm is always best! For some this may not be an option. For me it is. I have done this many times and often when cream is available I purchase it for this reason. But there are times when I just need the convenience of pre-made butter. At $5 for a 1/2lb of butter I can’t afford to purchase lots of this butter. That’s where Kerrygold comes to the rescue. At $6.50 for 3 sticks of butter at Costco, I can feed my family pastured butter without Dustin needing an extra job just to support our butter habit. I’ll admit, I’ve lost some sleep over the issue of butter this week. It’s probably not too healthy to loose sleep over butter! Approximately 2/3 of the land in Ireland is used for farming and agriculture and 80% of this land is used to grow grass. This grass gives the Irish countryside its green color and is the basis for the description of Ireland as the Emerald Isle. This abundant supply of natural fresh grass is also what makes the Irish dairy industry and Irish dairy products unique. Irish dairy cows graze on fresh grass in pastures all day long for up to 312 days a year. In fact, Irish cows graze outdoors on grass for longer than almost every country in the world. I’m not a math wiz, but from my simple calculations this means the cows are supplemented (not consuming grass) only 44 days a year. I’d say that’s pretty awesome! I know 365 days of pure pasture grazing would be pretty darn awesome, but let’s think about something…winter! I’m a Floridian, however, I know enough about winter to know when snow falls grass is going to be scarce which means cows aren’t going to be grazing on grass. Hungry cows need to eat! …like so much of what we do, our feeding pattern follows the cycle of nature. During the winter, when grasses stop growing, Irish cows are fed dried grass (known as silage). This grass is grown throughout the year, cut fresh and stored to be used when the winter comes. Cows in Ireland calve in the spring and are therefore outdoors, grazing on green grass when they are producing milk. After calving, cows are provided with supplementary feed to help restore protein and nurture them through this period. After talking to several farmers here in the States, I am beginning to realize 100% grass-fed with zero supplementation is a nice idea, however, not realistic. I’m not surprised or disappointed to learn Kerrygold cows are only 90% grass-fed. I am pleased to find affordable, good quality butter that is pastured for 312 days a year on fresh grass! That’s a lot of grass eating! Supplementary feed makes up about 10% of a cow’s diet. The supplementary feed is used to give the cows a healthy and balanced blend of nutrients, providing them with protein, energy and fiber. The majority of the cow’s supplementary feed is from locally grown Irish crops, such as wheat and barley. The balance of this feed can be composed of distillers grain (rapeseed, soy and citrus pulp – a blend of dried peel, pulp and seeds of oranges, grapefruit and other citrus fruit). Some have raised concern that even though Kerrygold’s butter may not contain GMO ingredients, the feed may. I feel comfortable with Kerrygold disclosing that 3% of the annual feed their cows eat may contain GMO’s. Considering the fact that GMO’s are fairly new to Europe and most of the supplementation is coming from local sources of wheat and barely along with possibly corn and soy, I feel confident in this very small percentage. Our family just recently adopted two laying hens, because of this I also have a great appreciation for how difficult it is to find guaranteed GMO-free feed and the great cost involved in using such feed is amazingly high. I congratulate Kerrygold for being able to keep this percentage so low. Cows in Ireland calve in the spring and are therefore outdoors, grazing on green grass when they are producing milk. The cream/milk produced to make butter comes from cows that are grazing on pasture. Cream is not produced and churned into butter during the winter when the cows are being supplemented. 5. Consider the Alternatives: I personally choose not to purchase butter (or meat) based on the organic label alone. Organic does not equal grass-fed. Many organic brands of butter, cheese, milk, and meats are nothing more than glorified corn-fed cows, simply free of antibiotics and hormones. Although these products may be GMO-free (organic), the diets of such animals are far from normal or healthy. I decided to look into a couple other sources for butter. The first, Organic Valley. I spoke to Organic Valley over the phone. 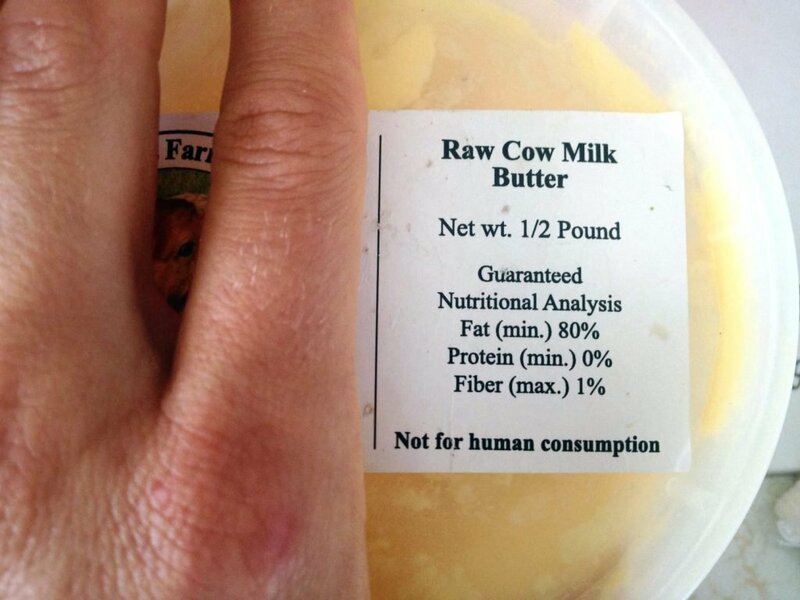 I was told the milk/cream used for their line of Pastured Butter is not 100% grass-fed. Just like Kerrygold, Organic Valley supplements with grains including corn and soy. Although they didn’t disclose how much supplementation occurs, they do use GMO-free corn and soy. The representative also confirmed that 100% grass-fed was far from reality for the majority of farmers. The second source was my local raw dairy farm. Again, I found supplementation to be a small part of the cows diet when needed. The farm also recently switched over to a new organic and GMO-free feed which also drove the cost of the dairy much higher. Dustin may need to start looking for that extra job now. After a week of pondering and researching (and loosing sleep) I have decided I will continue to buy Kerrygold. I feel it’s important to continue to support a company that strives to feed their cows grass, a practice which is not widely practiced today. While I will pick up a 1/2lb tub of butter from my local farm and stock up on Organic Valley Pastured Butter when on sale, I will continue to confidently buy pounds of the creamy, yellow grass-fed Irish Butter I love so much. Great information, thanks for all the time consuming research. Hey Jonathan, Good question, I’m not sure. I wonder if the company could shed some light on this question. Maybe give them a call and see if they have some answers? Maybe someone else around here knows something about the salt. I couldn’t agree with you more. I read the same post last week and while it was well written, I thought she jumped the gun a bit too soon. It really is difficult for any farmer to truly achieve 100% grass-fed. They can’t control the weather, sickness, injury or even the possibility of malnutrition. 90% grass-fed is FAR better than what any butter on my local store shelves can provide, and I don’t have the availability of locally sourced butter. I firmly believe that 90% grass-fed provides WAY more nutrients that 100% organic feed ever will. A 3% chance of GMO feed per year is so small when we consider the quantity of butter they produce vs. the quantity of butter we consume (well, some of us do eat more than others 😉 ). That same percentage could apply to just about anything we eat. We can try, try, try all we want, but sometimes there are factors beyond our control. Sorry for the long comment, lol. Thanks for breaking it down so well for everyone. 🙂 I’ll be sharing this one with my readers for sure. Thank you for researching this and sharing. I already spend $8 for 1/2 gallon of grassfed raw milk. My farmer charges $20 for 1/2 lb of grassfed raw butter. I’ll stick with the Kerrygold as the best I can afford…and it tastes really good. Thank you! I love the balance. I buy kerrygold and organic pastures. I have made my own butter but I don’t always have a source for cream. You should be able to purchase cream from the farmer supplying you with the milk! Cream is “made” as such from the milk when it settles, the cream can be scraped off the top, and the milk will be more liquid at the bottom. Thank you for all your research! Awesome! Now… I read an article about white vinegar.. that apparently it’s VERY difficult to get organic white vinegar for some reason.. Which makes me scared to try to make pickles this year using regular white vinegar. Do you have any thoughts on the matter? Well written! I missed the controversy! When DH first requested that we buy Kerrygold, I didn’t really want to. I was kind of blinded by the organic label and thought the expense was high enough! But then I tried the butter and it was like comparing local free range eggs to regular eggs. There really is no comparison. This is great information, Kristin, Thank you for the careful and thoughtful research. Trader Joe’s carries organic butter even cheaper than their Kerry Gold. It doesn’t claim to be grass fed, but it looks (and rumor has it that it is) Organic Valley butter. Organic Valley gets it’s milk regionally, and in my Northern California region the dairies listed with OV all have pastured herds. So I feel pretty confident that I’m buying grass fed butter (and, it seems to be a deeper yellow, in the spring–that makes sense!). Our family did a side-by-side taste test between TJ’s Kerry Gold and TJ’s Organic butter and we liked the TJ’s brand better. It tasted fresher. Kerry Gold has to travel a long way. I like KG, but budget-wise we are buying the TJ’s brand instead with no regrets. It only stands to reason that there has to be some grain in the feed–in places like Minnesota, there’s no grass all winter. Here in California they can pasture year round, but the grass is dry and brown all summer and I’m sure some supplementation is required. Thanks for the well-thought out post! I admire your effort to research so thoroughly to make informed decisions for your family. Sorry you lost sleep over it! I read that blog and decided instantly that nothing is perfect, and 90% perfect was about as perfect as it was going to get! Local is great, but the local raw dairy farms supplement lots more than Kerrygold does, and charge a lot more than Costco does. Thank you. I have bought their sour cream before and milk for making yogurt. Thanks for the great info. Feel free not to publish this comment. I love the article and you will be featured on natural living Monday IF you link back! I know you linked back to a bunch of other blogs, and am sure it was just an oversight. It happens to me too. Please link back so I can feature your great post! Thanks for doing this great research. Thanks so much. Sorry for the oversight :). I linked back I believe now. where does one purchase Kerrygold. I got the understanding that Costco carries it??? Costco is the least expensive place to purchase it. Sam’s Club also carries Kerrygold in tubs. Most large grocery stores or health food stores sell it as well. It’s cheaper at Trader Joe’s around here than at Costco. As with everything else, you need to check your local prices. Absolutely. We don’t have a Trader Joes. Checking around is always best. Thank you for taking the time to get some answers! I’m not near any farms and I will definitely be sticking with Kerry Gold! (Can’t get Organic Valley butter here either!) I’ve subscribed to your blog! Thank you so much! So glad to have you at Live Simply! Very nicely put!. I buy my Kerrygold from Costco as well, and will continue to do so. I can’t do everything that every article or blog suggests. I have to do what is best for my family No matter how you slice it, Kerrygold is still better than margarine. Oddly enough I found this site via a woman in Dublin who does the Facebook page for the WAPF chapter there. She has your Kerrygold post on their site. We began corresponding when I traveled to Ireland this past spring. I contacted the chapter to find out about some good real food restaurants in Dublin. When I returned to the States we wrote a bit about things here and there and naturally butter came up, grassfed butter and Kerrygold in particular since I had been buying it here recommended by other WAPF people. Well, according to Katrina, from Dublin, just about all of the grass there is not natural but planted. She claims the pastures are plowed and planted with rye grass for the cattle and that it is not organic and it is heavily sprayed with things to keep it healthy. Apparently the really wet weather causes a lot of grasses to rot, mold, etc., and the cows and cattle cannot consume it. This past spring was so wet and cold, crops failed and there was a “fodder crisis.” Ireland actually had to import hay from you guessed it….the US! Other countries shipped hay in also and Katrina claims once again, NOT organic, so probably GMO and sprayed with pesticides. This really bummed me out after seeing all this “lush” pasture with cows and sheep munching away. It makes a pretty picture but it appears to have a dark side. Katrina said the the Kerrygold operation is so very huge, it can’t be that great and she doesn’t trust them. This Dublin lady buys her organic butter from France and England! So, the verdict is not out about Kerrygold just yet. Did you get the links you wanted about this I sent to your e-mail? Didn’t hear back. I wonder if Kerrygold is a very large company or whether it is a consortium of many farmers who join together to package and market the products. The climate in Ireland is very similar to that of western Washington state. The cows here are out at pasture year around although there are a few months when grass is not growing much and they are fed grass which has been made into silage. Fantastic post. I came to the same conclusion. Agree completely. Thank you for jumping in and doing the research. Thanks! We buy Kerry gold from Costco, occasionally organic valley pasture on sale. We do get raw milk but the butter is $24/lb and I simply can’t do that. You mentioned that Kerrygold was cheaper. I for one, would rather pay the farmer and not the doctor, the nurse, the radiologist, etc. Just my reason for buying from the farmer. I would as well. This is why we purchase most of our food locally and about 97% organic and make everything at home. Kerrygold is paying farmers too 🙂 I am able to support both my local farms, including purchasing most of my raw dairy, and purchase from Kerrygold farmers as well :). I would love to purchase 100% local, but for me that isn’t always possible due to various factors. If this is possible for you, that is fantastic! I’m interested in the post that talked about that lady from Dublin who knew the grass was planted and then sprayed. I think you should get to the bottom of that. Today, after having eaten Kerrygold exclusively for the last 6 months, I tried OV Pasture butter again. It was refreshingly a lot less salty than KG, and had a sweetness from its cultures that KG does not have. I want to like KG best because they are the cheapest. But I wish they would salt a bit less, and use sea salt (which it doesn’t say), and I wish we knew more about the way the cows were really and truly raised. 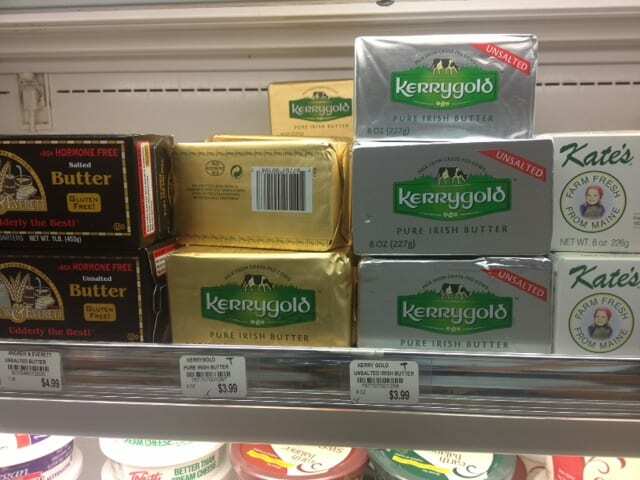 Kerrygold also makes and sells an unsalted butter (no salt). It is sold in a silver package. I can email you the links the lady from Ireland sent me. Is the email listed here a good email to send those to? Unless we buy exclusively from local farms we visit regularly we never know 100% about the conditions and feed and such. We have the information provided for us by these companies to base our decisions on, such as Organic Valley and Kerrygold or any non-local company or farm your purchase from. Not sure why Costco diesn’t carry the unsalted KG…? A while back I was looking into the possibility of getting a cow, and came across a “heritage” breed of cattle called the “Dexter.” These are small cattle (about half the size of “regular” cows) that originated in Ireland, and they apparently can browse some (like goats), so they don’t require as much grass. So it’s probably true that Ireland has less grass, and that if they are trying to raise the same kind of cattle we use here for dairy production it may not be the best. However, Ireland has been producing dairy for centuries – even before they could spray heavily to prevent grass rot (or whatever) – so it really probably depends on how traditional they attempt to remain. Thank you for your research and report. I started wondering about this, too. Sorry you lost sleep! Continue to eat it. With a smile. We buy from a farmer that is exclusively grass fed. In the winter, that means no bags of grain but plenty of dried grasses, which will contain seed heads/grain but plenty of the rest of the plant as well so it is in balance. It is perfectly possible to feed the cattle without supplementing grain. We live in a climate with winter. What makes it unrealistic is that most people don’t v. can’t. For all of the grain there are the rest of plants that could have been made into hay v. bags of grain. Cost is a factor and we look for the best possible price without sacrificing quality and our health goals. GMO is not something we want to compromise. We live in a little apartment on the lesser side of town, trim our budget in every imaginable way so that we can eat our priorities and homeschool. It is worth once a year hair cuts, old cars, eat simply to eat high quality, no cable/satellite, buy clothes used, etc. Anyway, if one doesn’t have to compromise a good deal is always welcome but GMOs are never acceptable. And grain free dairy is much more healthy than cows that are given any grain, even grain at milking. There are farmers doing this, but one does have to search. Best of luck. Other good fats to help supplement butter are lard (one can render for one’s self), tallow (again, render for one’s self from beef raised without grain, hormones, etc.) and coconut oil. Not to buy. People rave about this stuff but I don’t get it. I am completely aghast at these exorbitant prices!! “Just $6.50 for 3 sticks” and that is the CHEAP one? Wow. I’ll stay with the butter that is $2 per pound. Even the cheap stuff is better than margarine and fake spreads. Thank you. That’s wonderful that Target carries it! Great price. The problem with Soy is that 90% of the worlds soy is GM the bigger question is what percentage of that is left behind in the milk – a very tough question to answer. I’m hoping one day enough people will buy organic in an effort to lower the prices because the demand will eventually justify it. Thanks for this post!! Well done job of investigation. I too will continue to eat the rich gold butter. I absolutely LOVE and appreciate your post about this. I am also on a quest to change my entire diet to organic, it is SO important. Where I reside in the Caribbean, it is a bit difficult to obtain these options off the shelf; however, there are a few places offering the option, it certainly comes at a cost, but, as we become a lot more aware, I know the opportunity of purchasing ALL my items organically will exist. 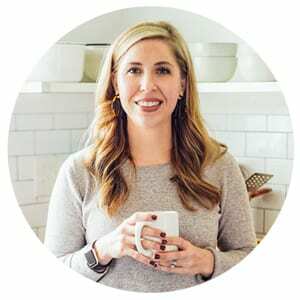 I am also educating myself about nutrition and preventing/reversing diseases. Thank you for this So Much! Interesting post. New Zealand here where 100% of our cows are grass fed and the industry is just like that of Ireland. The answer to your problem of attempting to avoid butter made during supplemented feeding is really quite simple. Buy extra stocks of butter during the Irish summer and autumn, and up till the approaching winter, and freeze it. Use those stocks during the Irish winter and well into spring. Start buying from the supermarket again a FEW WEEKS AFTER the cows have gone back to pasture. Date checking and careful planning will ensure that you will eat from ONLY grass fed cows throughout the year. There is absolutely nothing wrong with butter that has been frozen. Thank you for sharing, Linda! I love to freeze butter–great suggestion! While the cows graze 312 days of the year, the other days when they are housed indoors (outside is too cold and wet and can harm the animal/illness, etc) and also mainly fed grasses. During the summer months, (those few months where it is not raining everyday here!) we have too much grass, it grows faster and is much thicker than normal, we close off some fields during this time, and rotate the cows around different fields for a few weeks to let the ‘closed’ field get really long, thick & luscious grass! We then either cut the grass, let it dry naturally, (and it becomes hay) or else cut it, let it wilt for a day or two to decrease the moisture content and then make silage, which is a preserved grass. The quality of the silage isn’t known until you open it up when it comes to winter and the cows need to eat it! (It needs to be kept under anaerobic conditions to be preserved, by being wrapped up into tight bales covered in a wrap, [and yes, this wrap is then recycled so don’t worry!). Silage is measured by its DMD (dry matter digestibility), and other than grass it may include molasses (like a thick sugar, or treacle), which is made from the sugar beets (Ireland used to have a booming sugar industry!). The majority of cows are only fed this, with maybe a little bit of concentrates (which is like dried cornflakes, and some essential minerals, etc), but this is very expensive so farmers opt for the hay or silage when available! Thank you so much for sharing, Rachel! Hi Kristin. I’m also Irish and I must say that the lady from Dublin who claims that all the grass is ‘planted’ is absolutely wrong. I’ve lived on a dairy farm and the grass is about as natural as you can get and in fact it’s our natural mixture of grass and clover that makes our milk more nutritious than almost any other. Here’s a link to some information about re-seeding of unproductive fields and as you can see less than 2% of fields are re-seeded annually. Irish butter and beef are about as good as you can get anywhere in the developed world. As for the lady who was speculating about large ‘consortiums’ of farmers supplying Kerrygold, that raised a smile. I don’t think people realise just how tiny Ireland is! Herds are often fewer than 55 cattle and when you buy irish beef in the supermarket in Ireland it is labelled in such a manner that it can be traced back not only to the farm but to the herd itself. They can almost tell which cow it was. Thank you for sharing, Angela! It’s so great to get an insider’s scoop. Quick question. 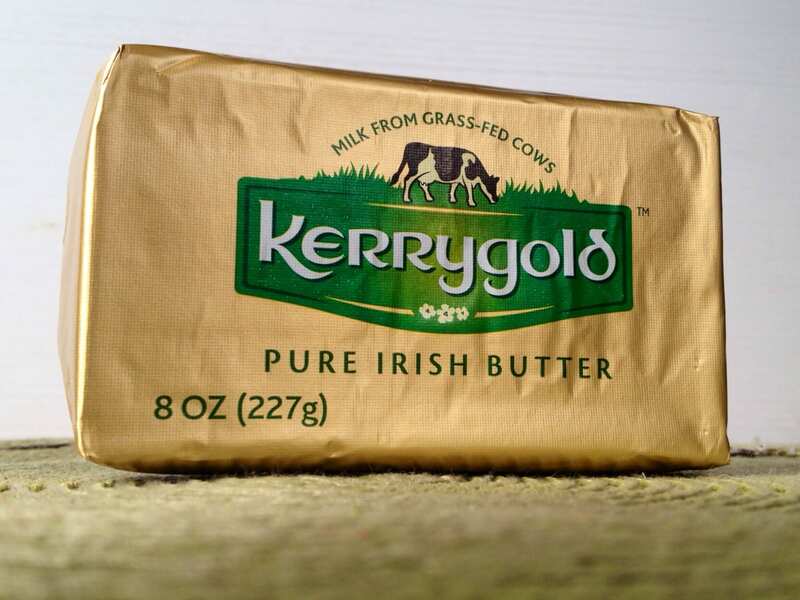 Do you feel comfortable including Kerrygold butter in your plan to live simply given that shipping or flying it across the Atlantic means that its carbon footprint must surely be huge compared to butter made in the US? Hi Andy, I would love to support local (grass-fed) butter options, but in my area, I haven’t found such a source. 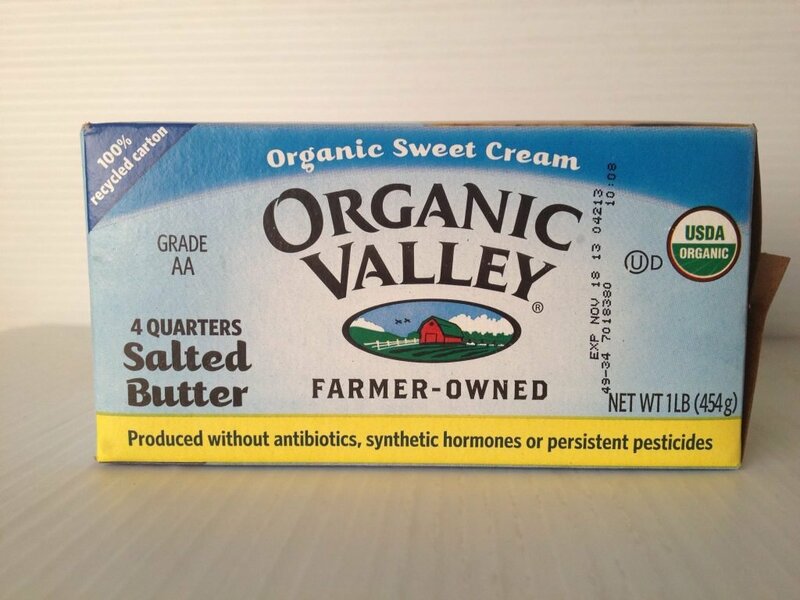 Organic Valley is the only other grass-fed butter option in our area, but it’s also much more expensive. Considering that living simply is also about living within our means, Kerrygold is the best option for right now. If you have any suggestions for American grass-fed butter that I could source, I’m open to them :). I’d much rather fly butter from Ireland than support conventional dairy farming. We do the best we can–that’s part of living simply to me. It’s not about perfection, but finding what works for our family. if it tastes good initially, and you find out it is not from 100% grass fed cows, you deem it not delicious? Thank you! I’m vegan, but after reading this article, I will begin introducing Kerrygold back into my diet. It sounds WAY healthier than the vegan butter I have been using. Thank you! I have been using Kerrygold for years as well. I live in Spain now and still use it. The main problem with the term “organic” which is way overly used in the US, is that word tells nothing of what the cow is consuming. The EU, which includes Ireland, has a strict law prohibiting the use of antibiotics in any animal used for the production of food. The US has almost the opposite practices. Most all cow farms use GMO feed and antibiotics. The farmers go on record admitting it is cheaper for them. Corporations’ profits are a higher priority than health, so many products can be labeled dishonestly. Kerrygold does not say “organic” on the label as that term in Europe strictly relates to pesticides used on plants. I love living in the EU as the food laws are so strict. Off the topic, the same goes for wine. EU laws prohibit the manipulation of wine, meaning if there is a bad year for vineyards, the wine will be bottled as it is. California in particular, wineries manipulate the wines a lot to keep the same flavor as most people in the US drink wine as a cocktail and not in the cultural tradition of old world wine. I have been in the wine industry for years now and old world wines are superior. I know this was quite awhile ago, but… to be frank: I don’t care that KerryGold’s cows are not 100% grass-fed, it’s better than the crap we’re still buying, which we still buy because my brother goes through it too fast… therefore there’d be no grass-fed butter left before 2 weeks are up. But, when I eat the whole-gmo butter it doesn’t agree with me, but the 3% of gm in Kerrygold doesn’t bother me at all… in fact it seems to soothe my stomach… I use mostly Coconut Oil, virgin and unrefined as I love that slight coconut taste, certainly keeps me from adding sweeteners of any kind. Though I do use Raw honey in my tea, but have to use that at least only 3 times a day or it causes me digestive issues… damn FODMAPS! Onions and Garlic seem to be the worst offenders, though. I would like us to buy grass-fed meats, but because we aren’t near a farm, and though there’s a place these farmers collect to meet their buyers, it’s kind of a little out of the way still… because my dad would have to get off work before they pack up and go home… at least by half an hour or more if he’s working overtime. Anyway, Aldi sells Grass-fed ground beef, but it’s expensive, I of course have the option of buying myself 1 pack lb of the beef, and use it sparingly through-out 2 weeks, but it would have to be at 1/2 lb and not 1/4 lb, as I don’t think I could do that as I love the taste of the grass-fed beef. I already buy low-price sardines, sometimes tuna, always avocados, sometimes other fruit, sometimes ground turkey, sometimes cookies, and most often tea, and almost always Honey… through I’m not sure how raw the honey is, but I feel it’s still better than the other pasteurized stuff from the store. Sometimes I also buy a 56fl oz of Coconut Oil and it costs $15…. though I’m thinking of maybe buying smaller ones for less money, but if I’m baking with it the 14 oz are not going to hold me. …. Not sure why I’m confessing to you; could be because my family don’t pay attention to me when I’m telling them something… like I ate gluten after 2 or 3 years of not intentionally eating it and I felt such pain and bloating in my stomach – my father goes and blames it on the little amounts of soy in the other cookies I ate and my mother goes and blames it on the so-called potency poppyseeds from a store-bought mix that was with the gluten…. they’re always going to deny the fact that gluten is the culprit! — Oh, no, it couldn’t have been the Evil corn syrup or the modified Food Starch in the poppyseed mixture either!!! — it was the gluten… I’ve eating those other things many times before and they’ve not caused any issues, but the gluten on the other hand. I also had to cut back on the honey consumption [is that the right word], because it was causing issues with my teeth and overwhelming the good bacteria with bad. In other words, I had to find my balance of sweet…. can’t drink sweetened tea if I’m eating sweets, so I drink water or if my tea is unsweetened at the time, I’ll drink it with the sweets… and I’ll still have to find my balance with one or two other foods… I love Legumes, so I try to balance those out, love Sweet potatoes, too! – I have to balance those, too. most of the time I don’t eat grains! I try to balance the legumes out to once or twice a week… and I always wash them really well and Then I’ll cook them in boiling water… even if their a snack… lol. Anyways, sorry for the long-winded reply… I probably peeved off a few gluten/wheat-eaters, but I don’t care, I feel great without it!!!! I also don’t care what my parents say, I feel great without the wheat! I use Kerrygold unsalted butter in my bullet proof coffee daily. I must say, I feel great, I covered it a bit in my recipe https://www.guideyourhealth.org/single-post/BulletproofCoffeeRecipe Do you drink bullet proof coffee? Hey Calvin, Yes, I do. 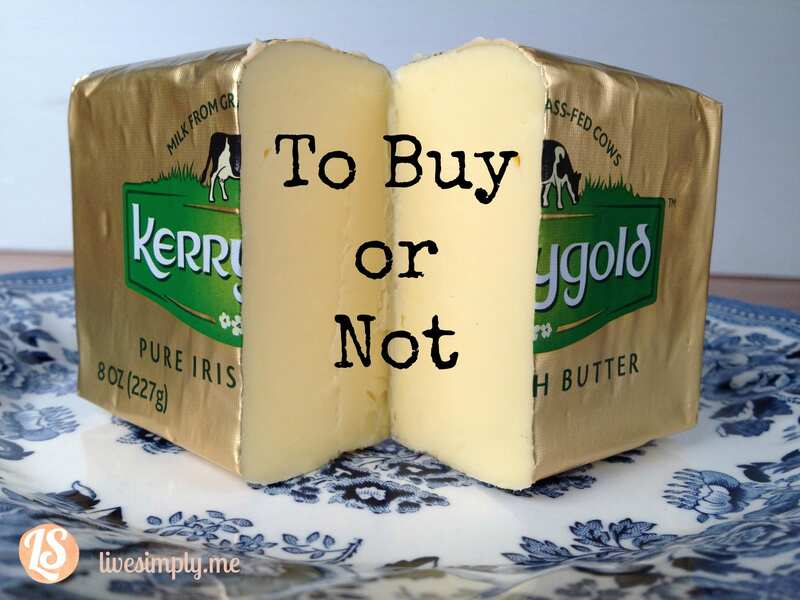 A few reasons not to buy/import Kerrygold butter. 1-If one wants to create and nurture a local economy then we are ‘importing’ a product that can be produced locally or closer than 4700 miles awy. 2-Mother’s milk, not just the milk of human mothers but of all mamals, has been contaminated for at least a century. It carries in it dozens of contaminants. The burning of fossil fuels like diesel gas, produces contaminants found in mothers’ milk. 3-By buying products that come across the ocean via airplane or container ships contributes to the contamination of air and water and to global warming. Thanks for sharing your opinion, eduardo. How can CO2 (significantly) impact climate when it constitutes only .005 of greenhouse gases? Water vapor constitutes over 90% of greenhouse gases. Far, far bigger impact on climate. Why does the UN IPAC not mention water vapor’s impact? I am a 75 year old pharmacist/attorney with 50 years experience in the dairy industry. Kerrygold Butter is no doubt better than the typical US Butter. A Cadillac is no doubt better than a Chevrolet. But I am very happy to use private label butter (Kroger brand etc,) and drive a Chevrolet as I personally don’t see the difference to be worth the difference in price. Kroger periodically sells their butter for 99 cents a lb, limit 5. As for raw milk products, I will not take the risk of consuming raw milk products nor raw seafood. As for GMO feed, there is no evidence that the GMO feed has any effect on the milk or the meat from a cow.. Thanks for sharing your thoughts, Jake. I ran in to this blog post when I was researching, for the third time, whether we should keep buying Kerry Gold butter. This sentence sounds great but it has always bothered me, because “up to 312 days a year” could mean anywhere from ZERO to 312 days. UP TO 312 days. What it really means is that the cows could be supplemented with grain UP TO 365 days a year. When I asked for clarification from the Kerry Gold company, they directed me back to the same website, so there was no real answer to my question. Does anyone else see what I’m talking about? This little bit of vague language seems to me a nice piece of misdirection. Hey Susan, They do make unsalted butter that’s not culture. But cultured butter is amazing, and so good for you. If you can find cultured, I would definitely go with that. I could not find a FAQ page that apparently used to exist. Needless to say, I have my suspicions here, especially coupled with Ireland’s beer industry that could easily supply dairy farms with cheap spent grain. I’m no beer maker, but I can only imagine that some of the dark rich brews like Guinness could provide an exceptionally sweetening effect on milk. Hey Ryan, I don’t see a 100% grass-fed statement on there. Maybe I’m missing it? When you go to the link in Ryan’s comment Scroll down till the cow comes to the center of page and then Click on #4. That leads me to believe Kerrygold is implying 100% grass fed. There is no statements anywhere that I can see of any grain given to these cows. Thanks, Siobhan. It’s hard to navigate that page. They are certainly IMPLYING that the cows get only grass, but nowhere do they really state it unequivocally. The phrase “100% grass fed” is not to be found. I missed that because in the beginning of this article you wrote that supplemental feed was only given during the winter. Under the winter feed description (“Our Way” tab, then #4), it says that the cows’ “Most Common” winter feed is silage (high moisture stored grass), then under “Other forms of winter feed” (can it be stated any clearer than that?!) there is hay (dried grass) and haylage (like silage grass only less moisture). There is no mention at all about any supplemental non-grass feed (at least not during the winter). Per the statement on the other page about the cows getting supplemental feed, I figure they are given that year-round and not just after calving or during winter. I also think the butter is made year-round and not just from spring milk. Cream does undergo changes throughout the lactation cycle so there may be a science as to when they make butter out of it vs. use it for other things. In summary, from Kerrygold’s website, their cows are fed, “A small amount of supplementary feed” of an unknown specific nature and quantity. That could mean bottom of the barrel conventional GMO corn and soy dairy feed. From the Kerrygold quotes you shared, this includes distiller’s grain (likely corn and other grains), rapeseed (likely the bi-product meal of canola oil manufacturing which is a common dairy supplement), flat out soy, and citrus pulp, or, “a blend of dried peel, pulp and seeds of oranges, grapefruit and other citrus fruit” to reuse their quote. So essentially, the supplemental feed could be 100% GMO. I was glad to find some admission from Kerrygold about giving supplemental feed to their cows, albeit one that is less than forthcoming in my opinion. How many clicks was it before you could find that statement nearly camouflaged by the grass background? Why don’t they have a video showing their cows eating that supplemental feed, which in all reality might hold the key to their butter’s magical flavor? Cheers anyone?